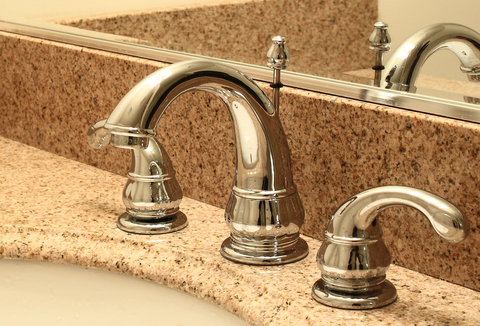 Do you need to replace a faucet or fixture in your kitchen or bath? If so, don’t go to a big box store – unless you want to make that repair every couple of years. Instead, turn to Curley Plumbing – your full-service specialist in faucets and fixtures in Great Neck! • One call does it all with Curley. When you buy from a big box store, you’ll still need to call in a professional plumber for installation. Instead, save on time and expense by having your skilled, licensed and insured Curley plumber make one trip! And we’ll get it right the first time—guaranteed! • Higher quality. The big box stores typically carry higher volume /lower quality versions of faucets and fixtures due to their need for volume sales. But at Curley, our focus is always on quality – not quantity. • What you see is what you get! What you see is not always what you get at a big box store. In many cases, manufacturers make a cheaper quality version of the same product for the big box stores. The product may look the same, the box may look the same, and they may even have the same model number. But it’s not the same product! The big box stores go to manufacturers and tell them they want to sell a particular product, but they have a set price they’re willing to pay for it. Subsequently, the manufacturer will alter the product to produce it cheaper for the stores. This could very well mean that there are plastic parts inside of brass – or the finish may also be of a lower quality, without the same warranty. With Curley, what you see is what you get – and we guarantee you’ll love it! • Greater convenience. If you have problems with a faucet or fixture you purchased from a big box store, you’ll need to call back the plumber who installed it – or have the store’s customer service department do it for you. If it turns out to be a faulty product, you’ll then need to have the plumber remove the faucet or fixture so it can be replaced. Meanwhile, you’ll have to live without a functioning faucet or fixture until the part is ready and the plumber can schedule you in. Again, with Curley, our prompt turn-key service and satisfaction guarantee means just one call will do it all! So much for the convenience of the big box store! • Enjoy peace-of-mind for years to come. With Curley, you’ll feel peace-of-mind knowing that a true professional has helped you select the perfect faucet or fixture for your specific needs — and that it’s been expertly installed. And remember: we’re just one call away if and when any issues arise! Call Curley today for the best-of-the- best in faucets and fixtures in Great Neck! When you’re in need of a new faucet or fixture in Great Neck – or any other plumbing solution – there’s one name to trust for full-service sales, service and installation: Curley Plumbing. Family owned and operated since 1972, our name carries a distinguished reputation where quality workmanship, honesty and follow-up are without compromise! Contact us today and discover why Curley Plumbing is the premier one-stop-shop for faucets and fixtures in Great Neck!